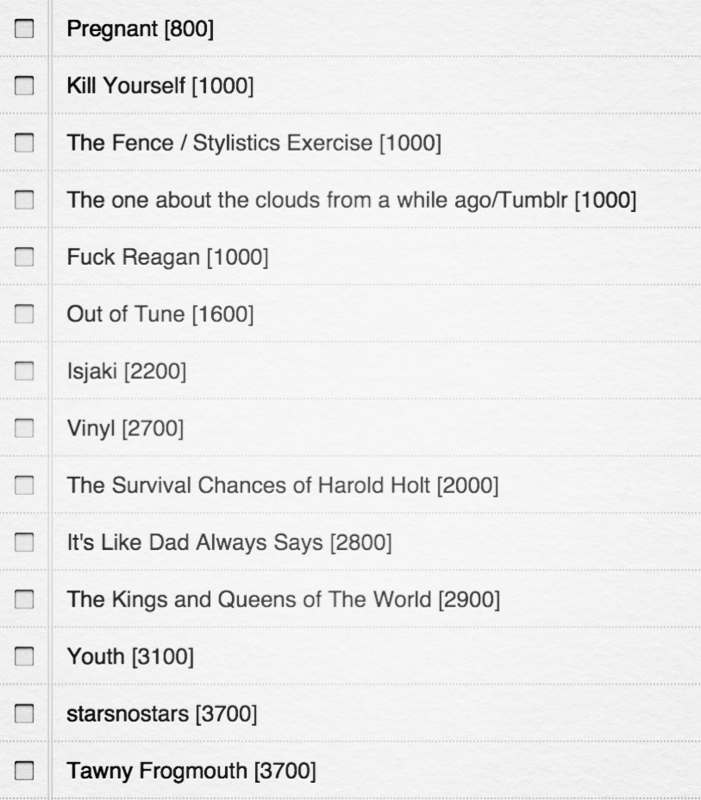 List of works completed over the last twelve months that I've noted may have some potential. Currently unsure of when I'll compile and edit these works, but 'sooner rather than later' feels like a good motto to uphold here. Perhaps I'll even start submitting them around the place--who knows? The fear of failure looms large, but so does the fear of never trying. I figure it's important to weigh up which one is worse (and the answer is as simple as it seems).